Television has given us so many great mothers, fathers, sisters, brothers, pets, weird uncles, neighbors, DON'T YOU THINK IT'S TIME WE DRAFT THEM? Host Ian Karmel is joined by writers/television personalities Mina Kimes and Jason Concepcion and COWARD Sean Jordan to draft the ultimate TV Family. 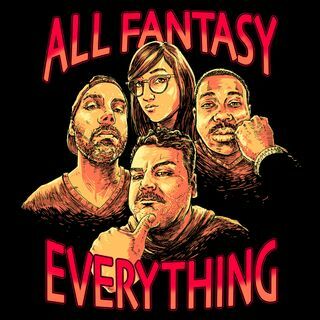 Join the All Fantasy Everything Patreon for exclusive mailbag and ... See More movie watch-a-longs episodes. Check it all out at www.patreon.com/AllFantasy.